According to an annual survey released by UCLA’s Cooperative Institutional Research Program, this year’s college freshmen are more studious than their counterparts of the past several years. The survey, The American Freshman: National Norms Fall 2011, which studied students’ high school academic habits, revealed a higher percentage of students did homework, took notes in class and took more advanced courses as high school seniors. Students also reported that they partied less, drank less alcohol, and showed up for class on time. 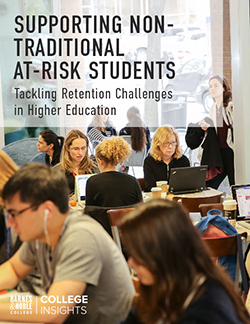 Because of these trends and other findings, researchers conclude that this year’s freshman class stands a better chance of succeeding academically. Over the past three years, an increasing number of students have said “getting a better job” was their top reason for attending college, followed by a desire “to learn more about things that interest me,” which formerly held the top spot for the first half of the past decade. 71% said they had taken at least one Advanced Placement (AP) course, up from 67.9% in 2009, and those who had taken five or more AP courses increased from 18.7% to 21.7% in that same period. 39.5% reported spending six or more hours a week studying or doing homework as high school seniors, up from 34.7% in 2009 and 37.3% in 2010. That figure has been increasing since 2005, when a record-low 31.9% said they spent six or more hours studying. 69.2% said they frequently took notes during class as high school seniors, up from 66.5% in 2009 and 67% in 2010. Also, 36.4% reported being frequently bored in class, down from 38.6% in 2009 and 39.2% in 2010. 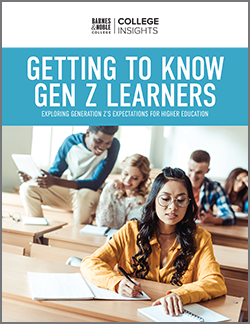 The results of this survey, conducted last fall, are based on the responses of nearly 204,000 first-time, full-time college students at 270 colleges and universities nationwide. It also found that fewer students received scholarships and that the number of those receiving scholarships of $10,000 or more had also dropped. To read this survey in its entirety, visit www. heri.ucla.edu.